We are a leading manufacturer of car air fresheners in the United States. With customers ranging from car washes to well known national brands, you can trust us to produce a quality product. 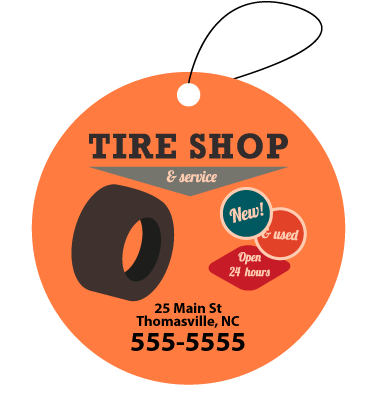 Contact us today and our sales staff will answer any questions you may have about our custom car air fresheners. 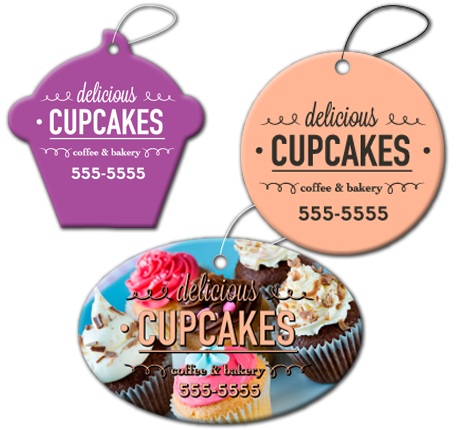 Why choose our custom car air fresheners? High quality, professional and easy to work with. 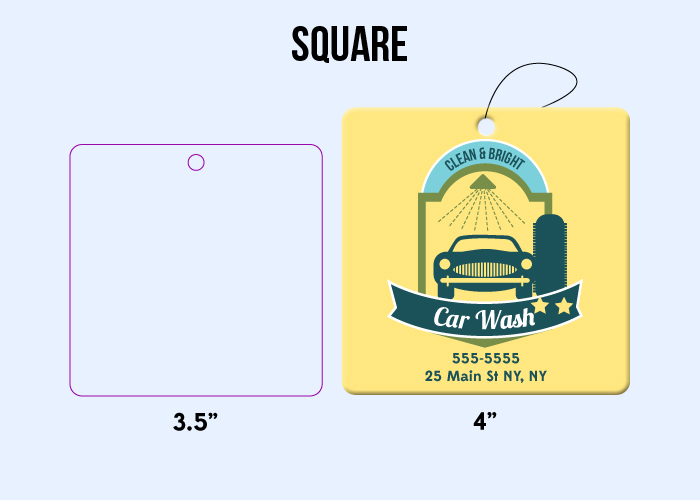 No plate charges or hidden set-up fees for your custom car air freshener artwork! Print photo quality air fresheners. Choose different art for each side if you want! We have a catalog of great stock shapes. 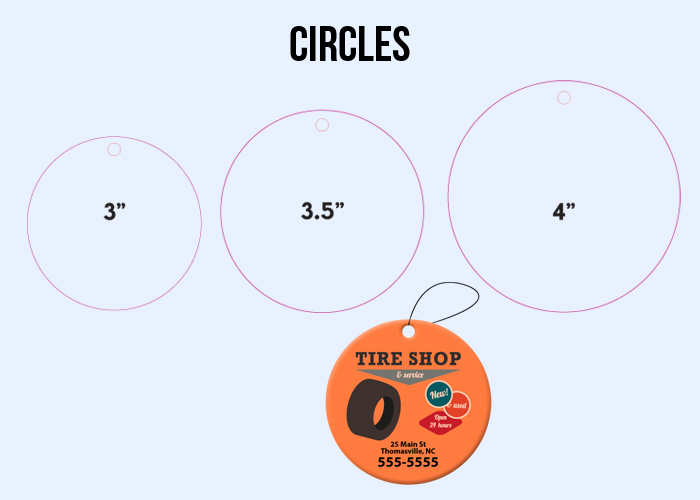 Create your own custom car air freshener shape for a small up charge. We have a huge inventory of fragrances and can accommodate custom requests. We offer free shipping on many orders! 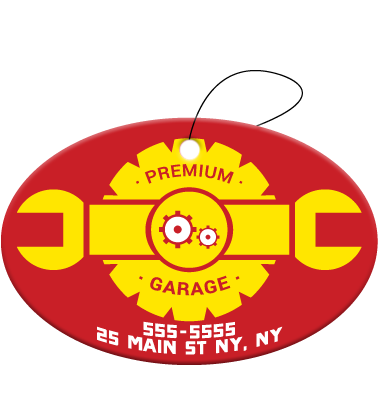 Just ask one of our sales reps if your custom car air freshener order qualifies. We manufacture in the USA with premium materials. Ask our sales reps why we are the best! 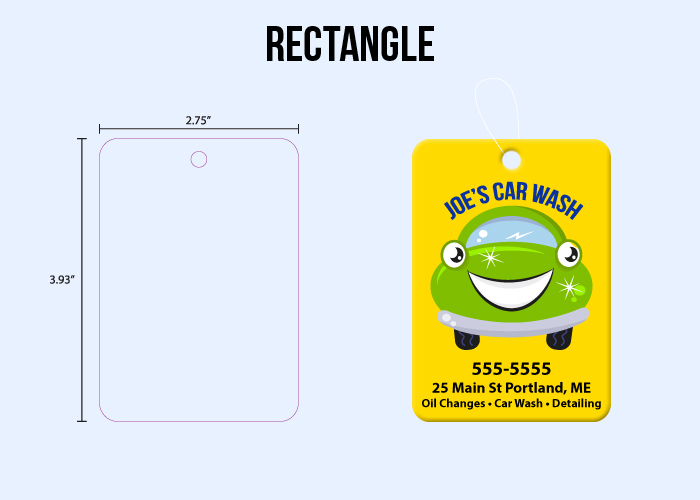 Creating your custom car air freshener is easy! Fill out the form and a sales rep will get in touch with you right away. We can answer any questions you may have about the process of creating your own air fresheners. In the meantime, you can check out our Frequently Asked Questions page. We can send you a sample pack of car air fresheners. Need help with artwork? No problem, we are here to help! Take your brand to the next level with a custom shape. Strange fragrance requests? We can custom make fragrances. 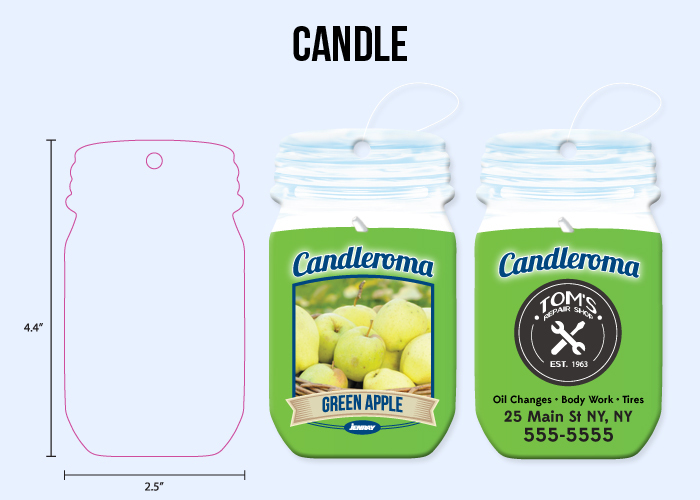 Have a great idea for your air freshener? Awesome, send the artwork over and we will get started! Need some help on the creative side? No problem, our in house art department is there to help. 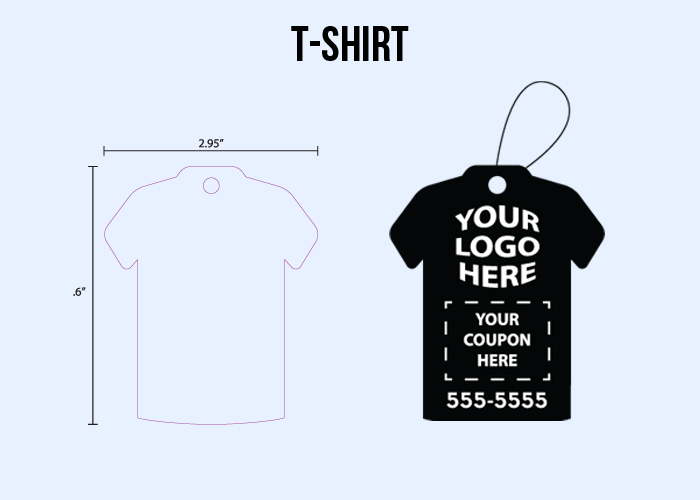 We will work with you do develop the custom car air freshener that will best suit your marketing or sales goals. It's great to see my air freshener hanging in cars around town! 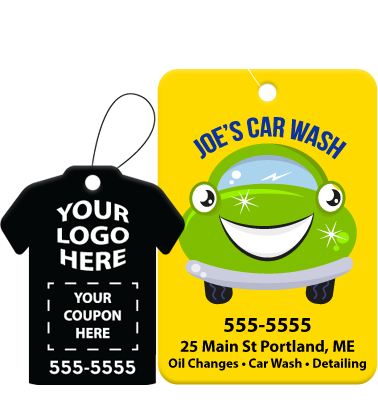 Every custom car air freshener I give away is an advertisement and incentive for my customers to return for another wash. This is way better than the generic car air fresheners we used to carry. 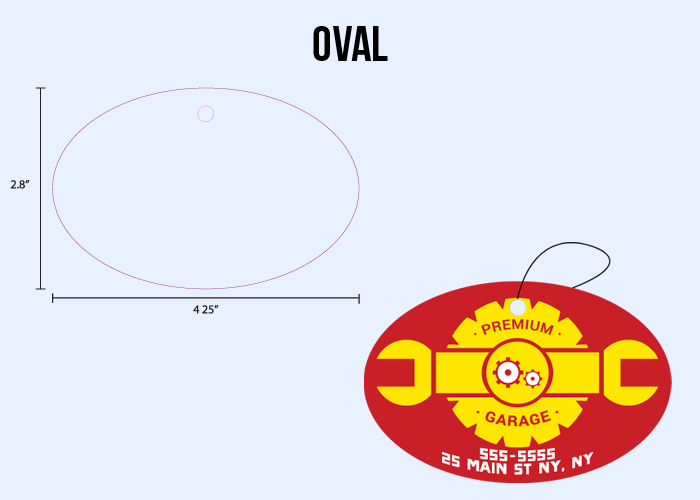 Choose from one of our stock shapes or create a custom shape to reflect your brand or product. 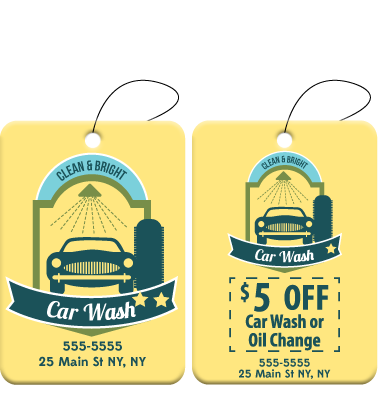 I give away a free air freshener that has a 10% off next wash coupon printed on it with each car wash. I am seeing a noticeable increase in repeat customers. We get great compliments all the time about our promotional air fresheners. 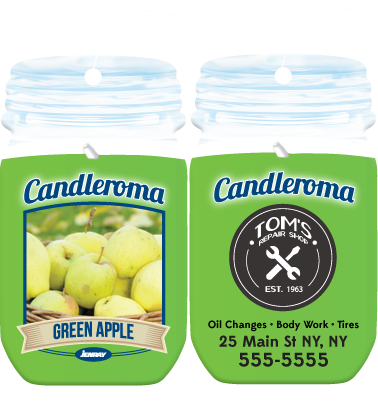 Customers appreciate the gesture and often refer us to others by giving them an air freshener. I own 12 convenience stores. Instead of selling the name brand air fresheners, I developed my own line. Not only are my margins higher now, but I also get to promote my store at the same time. The process is simple, all you have to do is start! © 2019 Custom Auto Air Fresheners. All Rights Reserved.